Discussion in 'Members Rides' started by veikkoFIN, Oct 30, 2017. 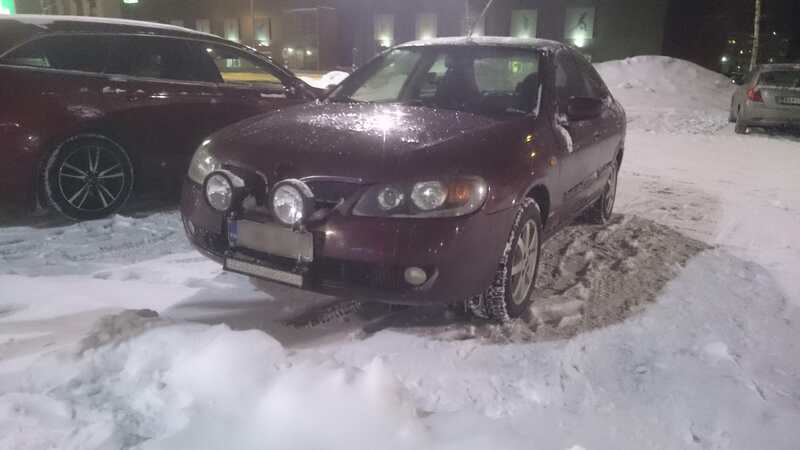 Heres my Almera n16 phase2, with the 1.8engine in wintermode. Here in Finland proper studded tires are a must have during the winter and proper lighting. Im addicted to lightbars so more lights are coming in the future. Tomorrow is washday so im going to snap some more pictures. This is the winter setup for now ,going to get a bigger ledbar next year. The lights are necesary in the dark and cold north.